Ground Water Control has taken delivery of the new B750 Pilot Tube Microtunnelling machine from NO DIG Equipment. Here is their first job with the microtunneler, which proved the perfect training situation to demonstrate the machines capabilities. 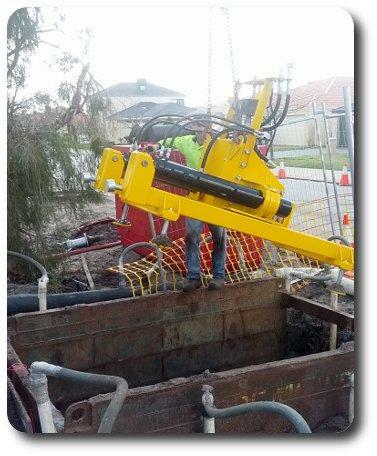 The bore was for a 150mm sewer line across a quiet suburban road. The line was 2.7m deep and 1.5m below the ground water table. 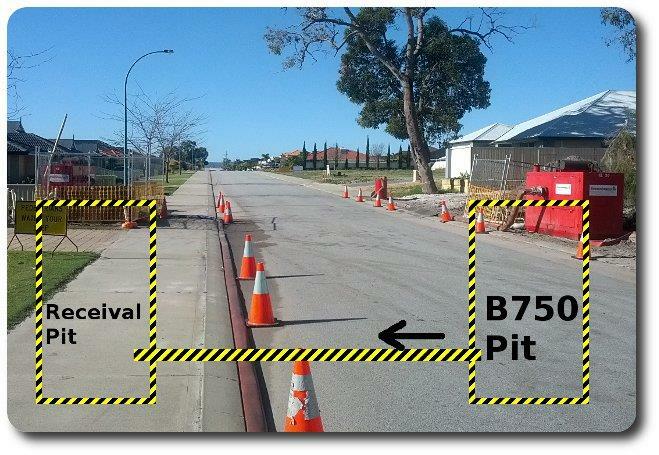 The length of the bore was 18m to grade and line and proved to be an easy test for the B750. This was a perfect job for Ground Water Control, as the job involved both drilling and lowering of the ground water table. There expertese and years of experience in groundwater controll and management made this an ideal job for them to cut there teeth. Both bore and receival pits were dewatered using their silenced 6" diesel pumps and well pointing to lower the water table to below the existing sewer line. 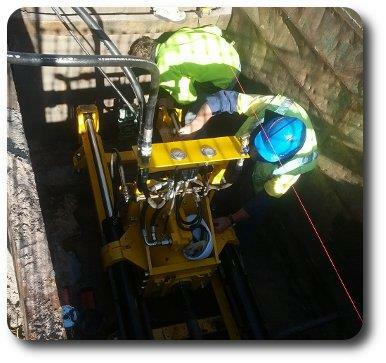 Once the water was under control, the microtunneller was set up to line and grade and the 150mm PVC boring pipe was installed to within millimetre accuracy. The whole operation including the installation of pits, well point dewatering and microtunneling of the sewer took less than 3 days and proved to be a great success. Another successful job completed by Ground Water Control, thanks to their new acquisition, a Pilot Tube Microtunneling B750 with 50T Push and 3500Nm of Torque. A 360 degree view of the B750 Micro Tunneler 2012 model here.